LAST MEETING: The Vancouver Stealth won, 15-11, in Vancouver on April 15 last season, but Calgary beat them 13-5 in an exhibition game at the Scotiabank Saddledome on Nov. 18. It was a rather disappointing opening weekend for both the Roughnecks and the Stealth. The Riggers were downed 17-6 by the Rochester Knighthawks out east, while the Colorado Mammoth spoiled the Stealth’s home-opener by a score of 15-8. The two western clubs will be looking for a big rebound this Friday. Just under a month ago, these two teams faced off in a pre-season game that saw the Roughnecks beat the Stealth 13-5. The Riggers offence provided a great showing to the fans, despite being without Curtis Dickson and Wesley Berg on the right side. Vancouver was also without its top scorers as Rhys Duch, Corey Small, and Logan Schuss were not in the lineup. All of that firepower will be on the turf come Friday night when the teams meet for Calgary’s home-opener. With each squad eager to earn their first win of the season, fans should be ready for an intense, exciting, and entertaining night at the Rough House. A stalwart on the left side of the Roughnecks offence, Dobbie is rarely held off of the board. But that happened last weekend in Rochester. As fiery competitor who is never satisfied, you can bet that he’ll be aiming to have a big week. Small had a breakout year in 2017, collecting 46 goals and 65 assists, finishing third in the league in scoring. To open this season, he didn’t find the back of the net, but had a pair of assists against the Mammoth. In four games against the Roughnecks last season, Small was a pain in their side, netting 11 goals and 14 assists. 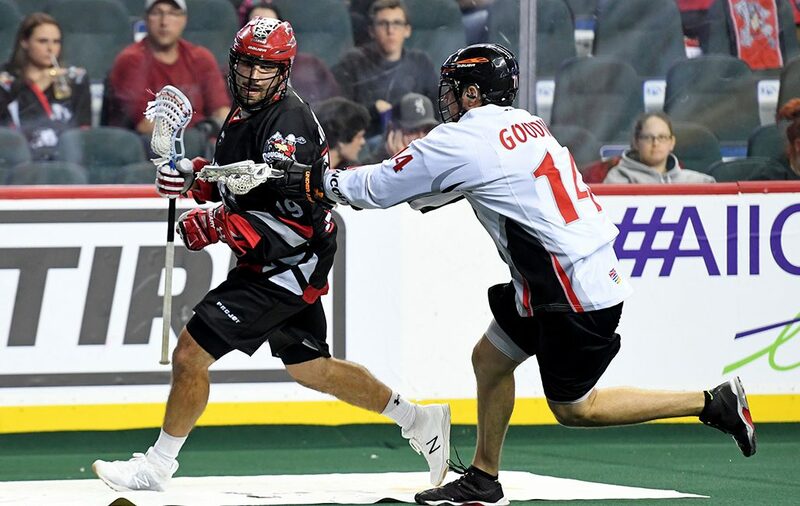 A week after giving up 17 goals to the Knighthawks, the Roughnecks biggest concern coming into the home-opener will be keeping the ball out of the net. With the defence still working out some details after changes to their system, it will take a lot of work to stop players such as Duch, Small, and Schuss, but it’s not impossible. It will take a great team effort to slow them down, but as they continue to gain comfort playing together in the defensive scheme, they will make life hard for the opposing forwards.